Wow. We really didn’t expect to get so much snow last week. It’s a rare and unusual thing for our little town to get any snow at all, never mind lots of the stuff, and it was an amazing to see the beaches covered in pristine white. Fortunately it didn’t last – just long enough to enjoy the fun, then it melted before we got totally fed up with it! March also happens to be the month we reopen our B&B, along with our fellow B and Bs in Newquay, ready for the coming spring, summer and early autumn holidays. We’re really looking forward to welcoming our first guests of the year. Will you be amongst them? If you’re thinking of coming our way soon, here’s what’s going on in Newquay during March. As far as permanent attractions go, we’re spoiled for choice. Pick your favourites from Bodmin Jail Museum and Flambards theme & Water Park, the Pirate’s Quest Heritage Centre and Cornwall Aviation Heritage Centre, Newquay Zoo and Camel Creek Adventure Park, Blue Reef Aquarium and beautiful Trerice Manor House. 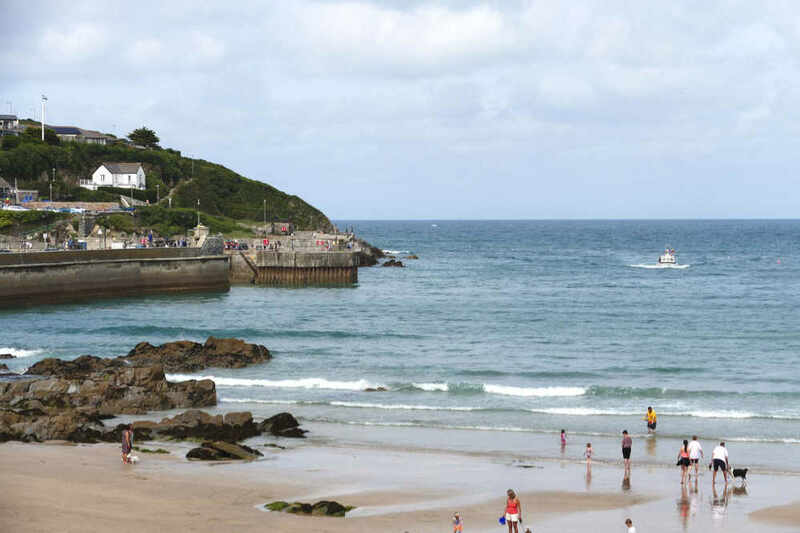 Plus Holywell Bay Fun Park, Dairyland Farm World, Newquay Land Train and, of course, our beaches: the gorgeous Gannel Estuary, Lusty Glaze Beach, Crantock Beach and Towan Beach. Here for the surf? Our town holds several world-class surf competitions and some of the best surfers in the world can be seen doing their remarkable thing here. If you fancy giving it a go, we have several surf schools to help you do exactly that: Elemental UK, Escape Surf School, Fistral Beach, Blue Wings, FlowRider and Quiksilver. Our teeny, tiny little surf city offers seven brilliant surfing beaches, with ride-able waves at low, medium and high tide plus various different swell sizes and wind directions, plus the effects of the ever-changing sandbars. Our tidal range ois impressive too, at 7.7m. At low tide our waves are frequently steeper and more powerful, closing out and making it tricky to stand on your board for any length of time. At high tide the waves often dump on the shore, so the rides are steep, short and dangerous as well as prone to delivering deposits of sand in places you’d much rather remained sand-free!